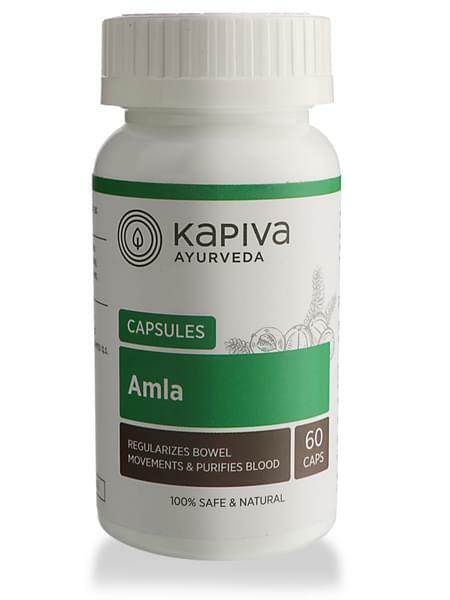 • Treat your body to the goodness of pure amlas that are used in Kapiva’s Amla Capsules. • Regularizes bowel movements and helps in digestion. • Rejuvenates and nourishes the tissues. • Removes toxins from the body and purifies the blood. • Ensures smooth functioning of the liver, spleen, heart and lungs. • Improves eyesight and strengthens bones, teeth, hair and nails. • Take two capsules twice a day for best results. • Kapiva derives its name from the three doshas of ayurveda – Kapha-Pitta-Vatta. our range of 200+ GMP Certified products have the right herbs in the right dosage and provide solutions to a variety of ailments. It's the day and age of hybrids, so go ahead and enjoy the best of both worlds - Ayurvedic tradition + Modern-day science and technology.